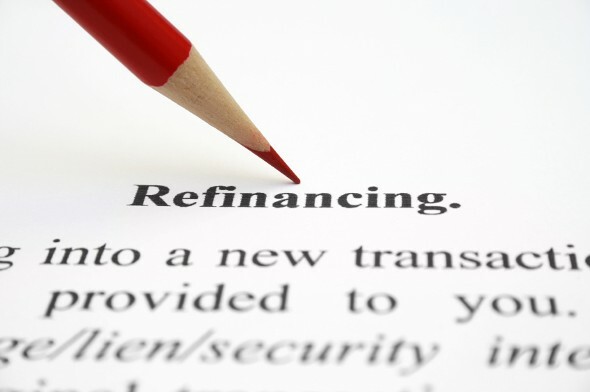 Looking to refinance your home but not sure if it’ll pay off after you factor in the refinance closing costs? You’re in the right place. With a refinance, you can save money in the long run by switching to a lower interest rate. But in the short term, you’re going to have to fork over some money in refinance closing costs. Yes, just like your original mortgage, your refinance mortgage will come with closing costs. But before you let refinance closing costs scare you away from a refinance, read on for some tips and tricks that will help you weigh the expense of closing costs against the benefits of a refinance. How much longer will you be in your home? Refinancing only makes sense if you are staying in the home long enough to reap the savings. How much lower will your new interest rate be? Refinancing may not be worth the trouble and money if your interest rate savings will be paltry at the end of it. Only commit to a refinance that will make a serious dent in your monthly payments. That way, your refinance closing costs won’t dwarf the benefits you reap. Have you shopped around for lenders? In the words of the US government, “know before you owe.” That means seeing what interest rates are out there and available to you. The more you can lower your interest rate, the more it makes sense to pay a new set of closing costs. Do some research on prevailing interest rates and average closing costs so you'll know how different lenders' offers stack up. Have you checked your credit score? We’ll be blunt: If your credit score isn’t up to snuff, don’t bother applying to refinance. Got bad credit? Correct any errors in your credit report, never use more than 30% of your available credit if you can help it and pay your bills in full every month. Then it’s just a matter of time before your score will rise. If you've already started shopping for refinance mortgage, talk to lenders about how raising your credit score will affect the interest rates available to you. Consider shortening your loan term. Why? To save lots of money, that’s why. If you’ve been paying your original 30-year mortgage for 5 years and you refinance to another 30-year mortgage, you’re tacking time and interest onto your home loan, and resetting the start date on your equity timeline. Wouldn’t you rather shoot for a 20- or 15-year mortgage instead? Take a hard look at your home value. Don’t assume that your house has appreciated since you bought it. If your home has lost value and you now owe more than the home is worth, you won’t be able to refinance. Keep making your regular payments and wait to refinance until things turn around. Respect your rate lock deadline. When a lender offers you a refinance interest rate, you’ll have some time to decide whether to accept. If you take more than the allotted time, though, you could lose that interest rate and be stuck with a higher one. Tie a string around your finger, set an alert on your phone, whatever you have to do, but don’t miss the deadline to lock in a favorable rate. Get your own appraisal. Your lender will probably give you the names of some appraisers, but you’ll also have the option of choosing your own. If you hire your own appraiser, you can be sure that person’s interests are aligned with yours and not with the lender's. Why is an appraisal important? Because refinance approval is partly tied to your loan-to-value ratio, and an appraisal decides the “value” part of that ratio. If your current loan-to-value ratio is over 80% and you’re paying for private mortgage insurance (PMI) as a result, you may be able to refinance your way out of PMI. A favorable appraisal can help with that. If your home is worth more now than when you bought it—and the loan you’re considering is less than 80% of the home’s value—you can ask your lender to exempt you from PMI on your new refinance loan. On the flip side, if you do an appraisal before you start the refinance process and learn that your home value is now too low for the maximum loan-to-value allowed by your lender, you will have saved yourself time and trouble. Ease up on your credit usage. When considering your application to refinance, your lender will pull your credit report. If you’ve just missed a payment, gone on a spending spree, or are using a high percentage of your available credit, the bank is less likely to approve you for a new loan. We know it’s tempting to anticipate the savings from your refinance and spend accordingly, but wait until after closing to give in to your consumption urges. Play it safe and don’t apply for any new credit cards until you close, either. Approach “free” refinance with caution. Some lenders will advertise “free” refinance options. This means one of two things: 1) the closing costs will be rolled into your new mortgage, or 2) the lender will cover the refinance closing costs in exchange for a higher interest rate. These two options aren’t so much free as they are ways to delay paying your refinance closing costs and spread the pain out over time. Depending on your situation and how much cash you have available for up-front costs, that might be just what you need, but you should know that your refinance isn’t actually free. If it weren’t for the closing costs, we’d all be refinancing right and left in search of lower interest rates. In the real world, though, there’s no such thing as a truly free refinance. Closing costs will find you. If the unexpected happens and you have to leave the home before you recoup your refinance closing costs, you won’t come out on top. Refinancing can lower your bills and save you money, but it’s always a little bit of a gamble. That’s why it’s important to go in to the refinance process with open eyes. Feeling ready to hunt down a new interest rate? Go for it, knowing you won’t get sticker shock when your lender hands you the bill for your refinance closing costs. Sending you to 's secure website.